Here’s an interior of a shop in Naughton. While the frog shopkeeper looks focused on recording inventory at the counter, if you spend too much time looking at some valuables in the corner without buying anything, he may shout at you! While Naughton experiences its fair share of crime, this shop hasn’t experienced theft in decades, thanks to its owner’s watchful eye. 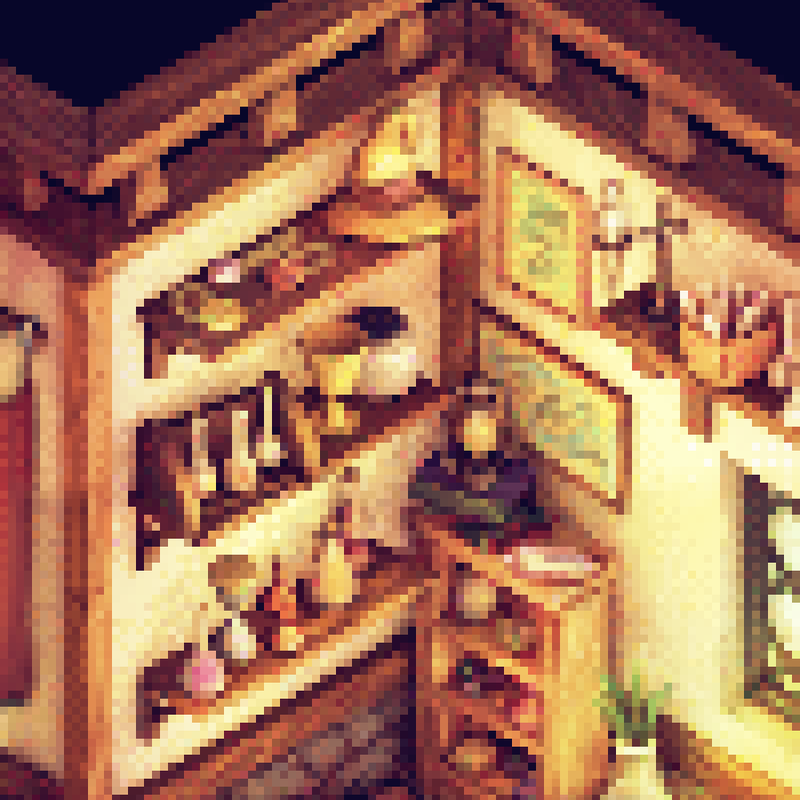 I really love the way this scene turned out, especially filling all the shelves and available surfaces with different trinkets and goods to sell. I was originally going to have a little changing room section in that bottom area, but decided to replace it with a coatrack, mirror, and clothing model to make the space feel more jam-packed and cluttered. A little easter egg in on the top corner shelf: Vivi’s hat from Final Fantasy IX. Click the below thumbnails for further details.